toplanmıştır. Ayrıca Malgadın, Pleurotus ostreatus, Lactarius salmonicolor mantarlarının konserve türleri alınmıştır. E. M. ,. T. M. Türkekul I., « Determination of iron, copper, manganese, zinc, lead, and cadmium in mushroom samples from Tokat, Turkey.,» Food Chem., no. 84, pp. 389-392, 2004. Y. A. ,. 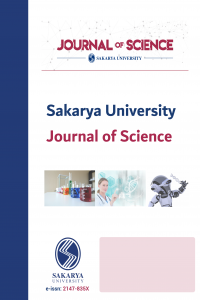 Y. Ö. Yeşil Ö.F., «Level of heavy metals in some edible and poisonous macro fungi of Diyarbakır region in Turkey,» Bulletin of Environmental Contamination and Toxicology, no. 73, pp. 853-861, 2004. M. M.V., «Copper, zinc, and cadmium in various fractions of soil and fungi in a Swedish forest,» Journal of Environmental Science and Health, Part A: Toxic/Hazardous Substances and Environmental Engineering, no. 48(8), pp. 980-987, 2013. I. Nnorom, « Lead and Copper Contenys of The Sclerotium of The Mushroom Pleurotus Tubber-Regium (Osu): Assessment of Contribution to Dietary İntake in Southeastern Nigeria.,» Toxicol. Environ. Chem., no. 93(7), pp. 1359-1367, 2011..
 J. ,. F. A. ,. J. G.,. D. A., K. A. ,. Z. D. , Falandysz, «Survey on Composition and Bioconcentration Potential of 12 Metallic Elements in King Bolete (Boletus Edulis) Mushroom That Emerged at 11 Spatially Distant Spatially Distant Sites.,» J. Environ. Sci. Health B, no. 46(3), pp. 231-246, 2011. D. ,. F. A. ,. J. G. ,. K. A. ,. D. M. ,. W. D. , B. L. ,. W. J. , F. J. Zhang, «Metals of King Bolote (Boletus Edulis) Collected at The Same Site Over Two Years,» Afr. J. Agric. Res., no. 5(22), pp. 3050-3055, 2010. P. ,. A. A. , P. L. Manzi, «Nutritional Value of Mushrooms Widely Consumed in Italy,» Food Chemistry, no. 73, pp. 321-325, 2001. M. Pamir, %1 içinde Fermantasyon Mikrobiyolojisi, Ankara No:936, Ankara Üniversitesi Ziraat Fakültesi Yayınları, 1985. F. ,. T. A. Gucin, %1 içinde Mikolojiye Giriş. Uludağ Üniv. , Fen Ed. Fak. Ders Notları, Bursa, No:1., 1994 , pp. 8-37. L. F. ,. B. F. ,. D. S. Unak P., «Iodine measurements by isotope dilution analysis in driking water in Western Turkey,,» J. Radional. Nucl. Chem. , no. 273, pp. 649-651, 2007. A.-K. O. Al-Khlaifat A.L., «Atmospheric heavy metal pollution in Aqaba city, Jordan using Phoenix dactylifera L. leaves, Atmos.,» Environ, no. 41, pp. 8891-8897, 2007. S. M. ,. R. D. ,. W. S. Gopalani M., «Heavy metal content of potato chips and biscuits from Nagpur city, India,,» Bull. Environ. Contam. Toxicol. , no. 79, pp. 384-387, 2007. V. P. ,. P. E. &. R. K. Ouzuni P.K., « Determination of metal content of wild edible mushroom species from regions of Greece.,» Journal of Food Composition and Analysis, no. 20, pp. 480-486, 2007. S. Atalay, «Metabolik Sendrom ve Metabolik Kontrol Durumuna Göre Tip 2 Diabetes Mellitus’luHastalarda Kanda Krom Düzeylerinin Karşılaştırılması ( Tıbbi Biyokimya Uzmanlık Tezi)» T.C. Sağlık Bakanlığı Haydarpaşa Numune Eğitim ve Araştırma Hastanesi Biyokimya ve Tıbbi Biyokimya Bölümü, İstanbul, 2008. H. Mıhçıokur, « Kromun Kimyasal Formlarının Zenginleştirilmesi ve Spektrofotometrik Olarak Tayiniv (Yüksek Lisans Tezi),» Erciyes Üniversitesi, Kayseri, 2007. S. L. Kalac P., «A review of trace element concentrations in edible mushrooms,» Food Chemistry, no. 69, pp. 273-281, 2000. L. Sisak, «The importance of Mushroom Picking as Compared to Forest Berries in the Czech Republic.,» Mykologicky Sbornik, no. 84(3), pp. 78-83, 2007. A. Boğa, « Ağır Metallerin Özellikleri ve Etki Yolları.,» Çukurova Üniversitesi Tıp Fakültesi, Fizyoloji Anabilim Dalı, Adana, no. 16, pp. 218-230, 2007. V. J., « Mineral composition of basidiomes of Amanita species,» Mycological Research , no. 109, pp. 746-750, 2005. C. K. &. F. J., «Multivariete analysis of elements content of Larch Bolete ( Suillus grevillei).,» Chemosphere, no. 73, pp. 1230-1239, 2008. U. O. ,. T. M. ,. H. E. &. S. H. Mendil D., «Trace metals levels in mushroom samples from Ordu, Turkey,» Food Chemistry , no. 91, pp. 463-467, 2005. K. M. ,. A. A. &. K. S. Yağız D., «Minor element and heavy metal content of edible wild mushrooms native to Bolu, North-West Turkey.,» Fresenius Environmental Bulletin , no. 17, pp. 249-252, 2008. B. M. S. D. K. P. A. T. A. S. B. K. C. M. D. L. H. R. H. C. K. B. M. L. R. R. S. W. S. a. T. S. Stern, «Copper and Human Health:Biochemistry, Genetics, and Strategies for Modeling Dose –Response Relationships.,» J. Af Toxicol and Environ Health B Crit Rev. , no. 10(3), pp. 157-222, Apr-May; 2007. G. ,. A. G. Ö. K. v. S. T. H. 1. 1. Kartal, «Metallerin Çevresel Etkileri II,» TMMOB Metalurji Mühendisleri Odası Dergisi, no. 137, pp. 46-531., 2004. F. Alimentarius., «Report of the Seventeenth Session of the Joint FAO/WHO.,» %1 içinde Codex Committee on Food Additives, Rome: Codex, 1987. O. M. ,. D. A. Tüzen M., «Study of heavy metals in some cultivated and uncultivated mushrooms of Turkish origin.,» Food Chemistry,, no. 63, 2,, pp. 247-251, 1998. P. D. ,. K. W. ,. K. A. ,. R. K. Ouzouni P.K., « Nutritional value and metal content of wild edible mushrooms collected from West Macedonia and Epirus, Greece.,» Food Chemistry, no. 115, pp. 1575-1580, 2009. S. P. &. F. J. Malinowska E., «Metals bioaccumulation by bay bolete, Xerocomus badius, from selected sites in Poland.,» Food Chemistry, no. 84, pp. 405-416, 2004. Y. Tuncay, «Kovada Gölünde Yaşayan İstakozlarda Ağır Metal Birikiminin İncelenmesi,» ( Yüksek Lisans Tezi) Süleyman Demirel Üniversitesi, Isparta, 2007. JECFA-960, «Evalution of certain food additives and contaminants, 73rd Report of Joint FAO/WHO,» Expert Committee on Food Additives, Technical report series 960, Geneva, 2011. T. I. ,. E. M. &. T. M. Işıldak Ö., «Anaysis of heavy metals in some wild-grown edible mushrooms from the Middle Black Sea region, Turkey.,» Food Chemistry, no. 86, pp. 547-552, 2004. Y. D. ,. S. C. ,. Ç. M. &. S. M. Yamaç M., «Heavy metals in some edible mushrooms from the Central Anatolia, Turkey.,» Food Chemistry, no. 103, pp. 263-267, 2007. S. E. ,. D. J. ,. V. C. ,. P. F. (. Michelot D., «Uptake on metal content profiles in mushrooms toxicological implications and tentative approach to the mechanism of bioaccumulation.,» Toxicon, no. 36, pp. 1997-2012, 1998. S. K., «Determination of eighteen elements and 40K in eighteen food categories by Japanese subject.,» J Radioanal Nucl. Chem., no. 266 , pp. 61-69, 2005. N. Durkan, «Yukarı Büyük Menderes Nehri Havzasındaki Makrofunguslarda Ağır Metal İçeriklerinin Araştırılması, Doktora Tezi, S.D.Ü.,» Fen Bilimleri Enstitüsü, Biyoloji Anabilim Dalı, Isparta, 2006. Y. ,. A. R. Dündar, «Yaşamı Kuşatan Ağır Metal Kurşunun Etkileri,» Kocaeli Tıp Dergisi, no. Vol 6, pp. 1-5, 2005. S. L. ,. H. B. Kalac P., « Content of cadmium and mercury in edible mushrooms.,» Journal of Applied Biomedicine, no. 2, pp. 15-20, 2004. T. M., « Determination of heavy metals in soil, mushroom and plant samples by atomic absorption spectrometry,» Microchem. J., no. 74, pp. 289-297, 2003. N. ,. D. Y. ,. T. D. v. Z. M. Dürüst, «Heavy Metal Contents of Pinus Radiata Trees of İzmit,» Asian Journal of Chemistry, no. 16(2), pp. 1129-1134, 2004. C. V. &. S. J. Komarek M., «Metal / metalloid contamination and isotopic composition of lead in edible mushrooms and forest soils originating from a smelting area,» Environment İnternational, no. 33, pp. 677-684, 2007. S. Arabacı, «Meriç ve Tuna Nehrindeki Ağır Metal Birikiminin Su ve Balık Türleri Açısından Değerlendirilmesi (Yüksek Lisans Tezi).,» Trakya Üniversitesi. TR., 2001. L. T. .. Rudawska M., «Micro-and macroelement contents in fruting bodies of wild mushrooms from the Notecka forest in West-central Poland.,» Food Chem. , no. 92(3), pp. 499-506, 2005a. L. T. Rudawska M., «Trace elements in fruiting bodies of ectomycorrhizal fungi growing in Scots pine ( Pinus sylvestris L.) stands in Poland.,» Science of the Total Environment, no. 339, pp. 103-115, 2005b.